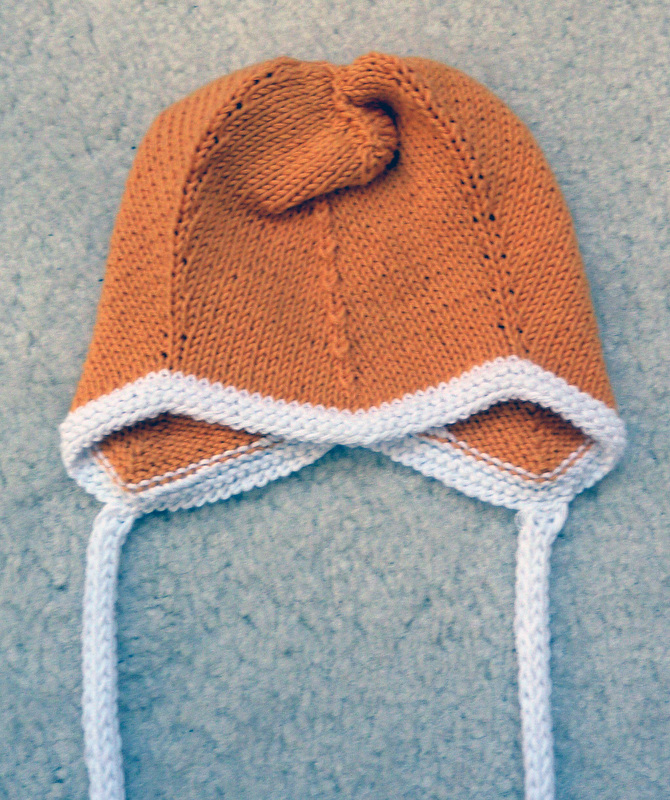 I made this hat for my little boy ages ago, I think I finished it at the end of June. It’s made from a really nice, smooth silk yarn that I bought last year somewhere (I honestly can’t remember where, sorry). All I know is that it’s lovely and soft and keeps Luke’s head cool when it’s hot and warm when it’s cold. It’s a pattern that I always go back to from Garnstudio. 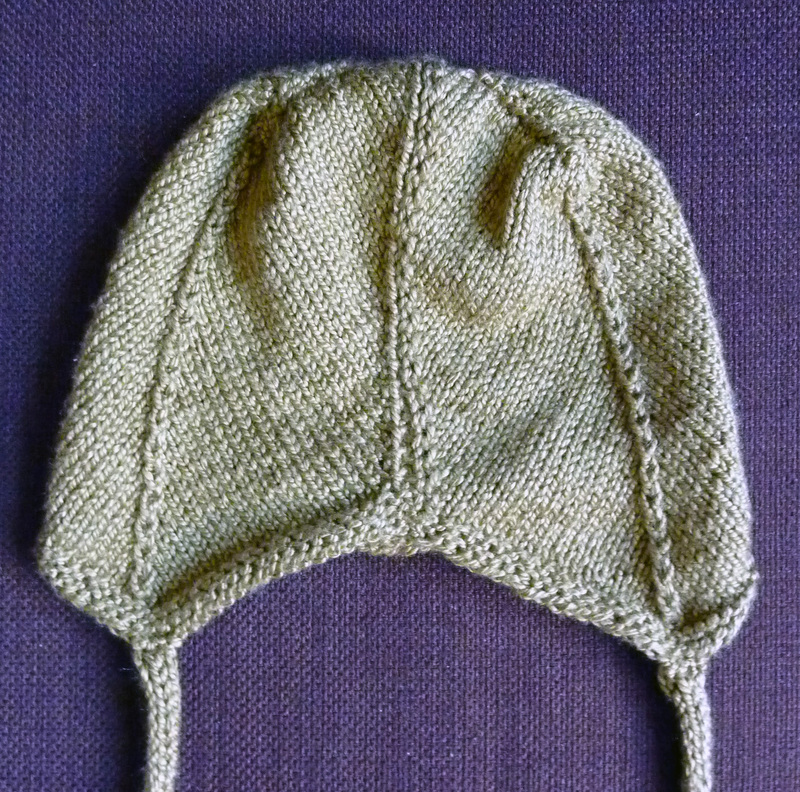 It’s a joy to knit this hat, as it’s a really straight forward pattern that practically knits itself. I particularly love the detail the knitting creates, like the pointed front that goes onto the forehead of the little munchkin wearing it. 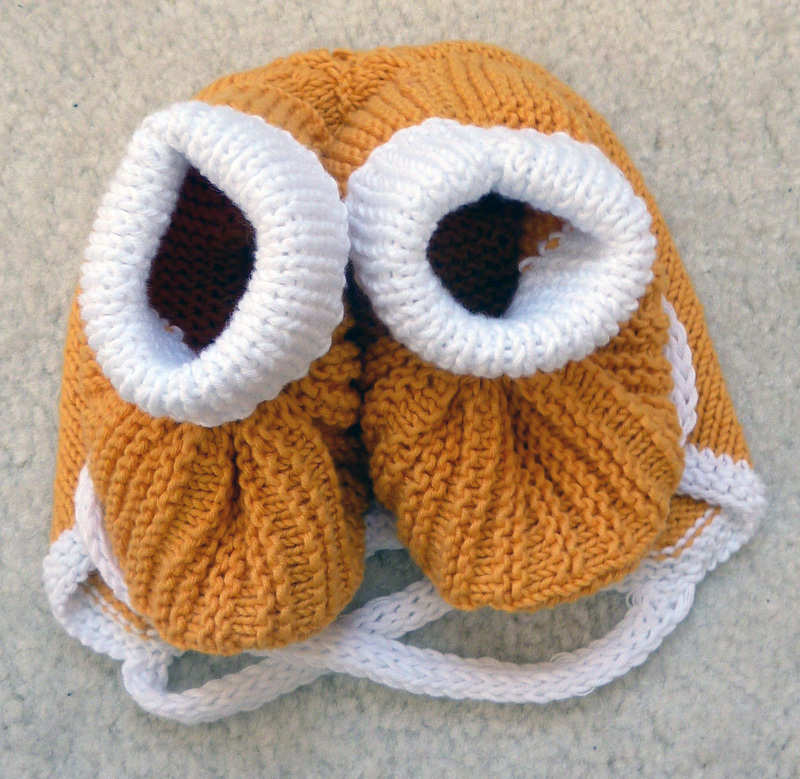 It actually reminds me of a hat I used to wear when I was little (my Mum kept it and gave it to me when she found out I was having a baby, but it’s more of a girly hat, so it might have to wait to be worn!). And I can hear you asking, where’s a picture of the hat being worn??? You didn’t think I was going to withhold one, did you? 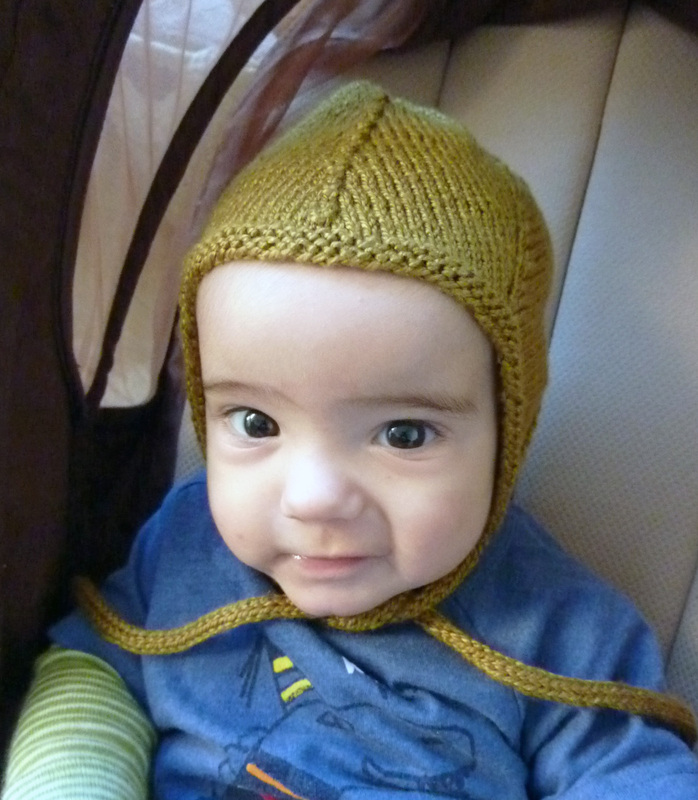 Here’s Luke wearing his new silky hat when it was first finished. And here’s a more recent picture, taken about two weeks ago. 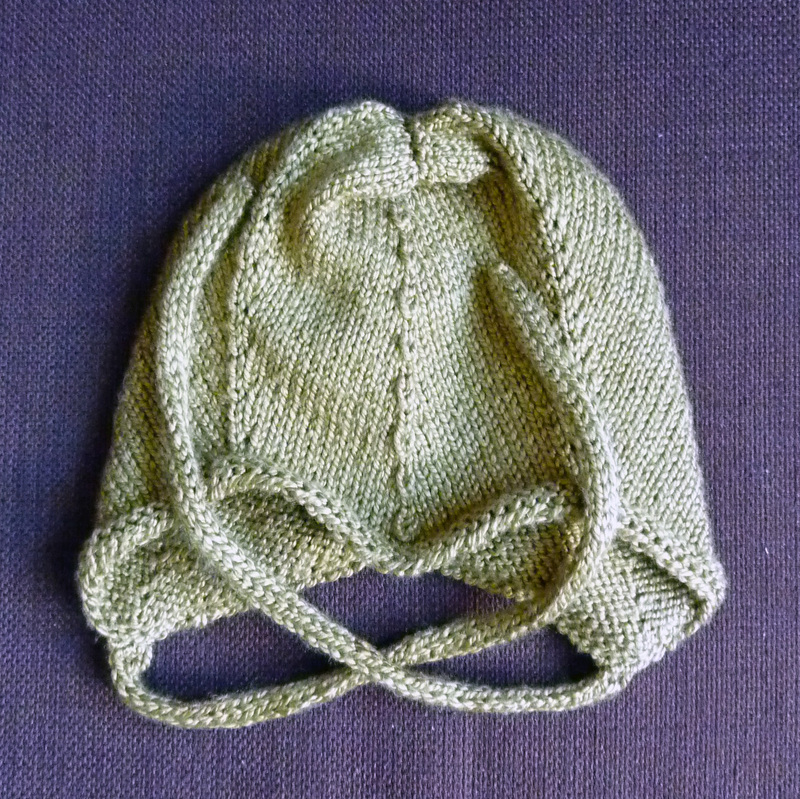 Here is yet another hat and bootie combination that I made nearly a year ago, for a friend in Singapore. This meant that rather than using wool yarn I picked some cotton yarn to make sure that her little one wasns’t too hot. I used some left over Drops Safran in this really nice yellow and white. This combination is always a winner, and makes such a nice present I think. 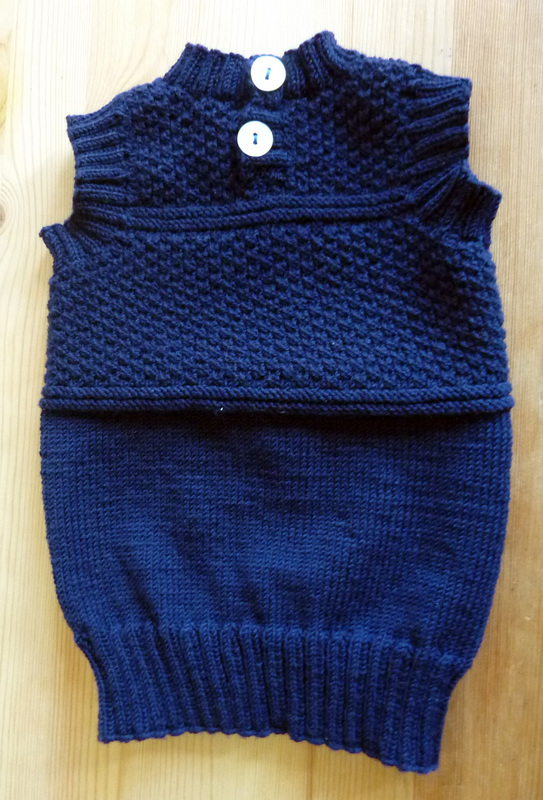 For my nephew’s first birthday on 25th August I managed to whip up a quick, and dare I say very nice little vest. It’s another great design from the guy’s at Garnstudio (I know I keep on harking on about how great they are, but they truly are!). 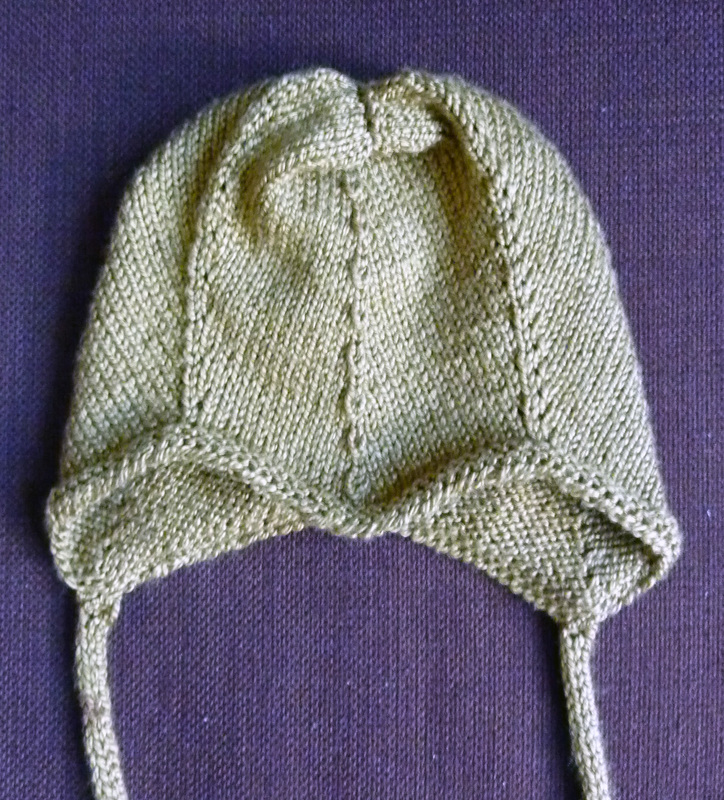 And the patterns are always so easy and such a pleasure to knit. 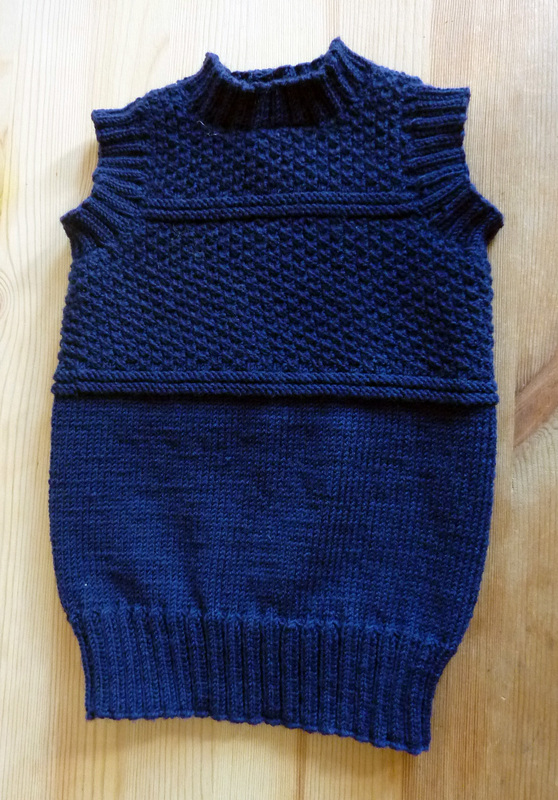 I like how the double moss stitch at the top makes the entire vest a little more exciting than if it was just stockinette stitch. And I’m quite pleased with the colour, as it can be teamed with either a white top underneath, making it tres chic, and any other colour really. Picking up the stitches for the arms was a little bit tricky, as I had to make sure there were a certain number of them. However, it does give the vest a very nice finish. 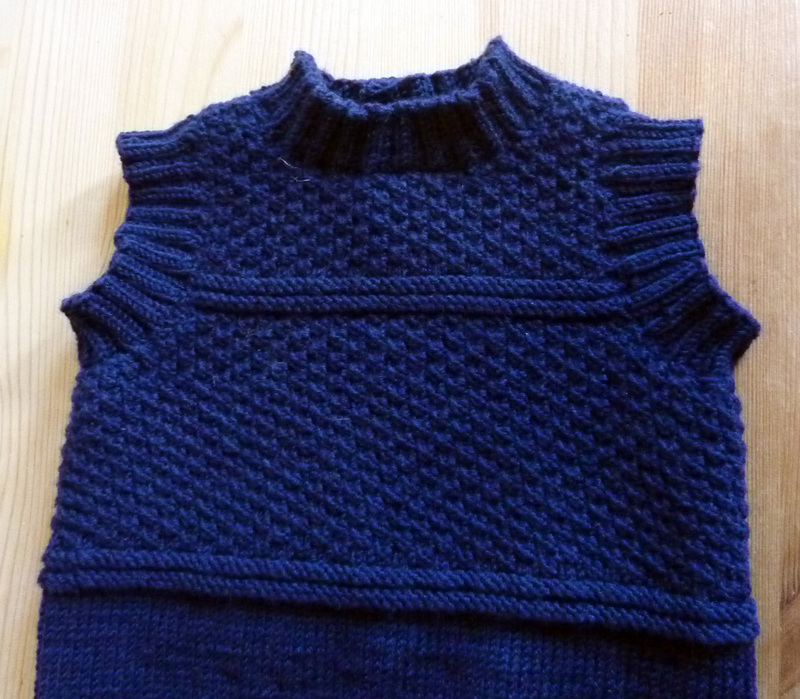 The entire vest was knitted in the round and for the first time rather than grabbing my double pointed needles I used a size 40 circular needle. It initially felt uncomfortable knitting with the needle, but I quickly got used to it, and I’m sure I’ll be using them again soon. 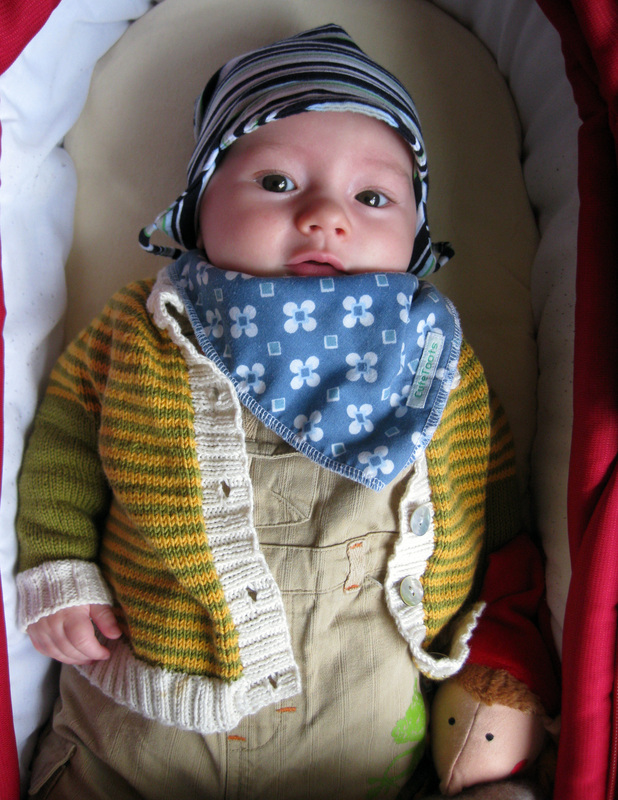 I’m planning on making the same vest for my little man, but in a nice green (I think that’s my favourite colour for him, as I seem to always pick it for any new project for him). I found some nice buttons in my stash and was able to finish off the vest with those. 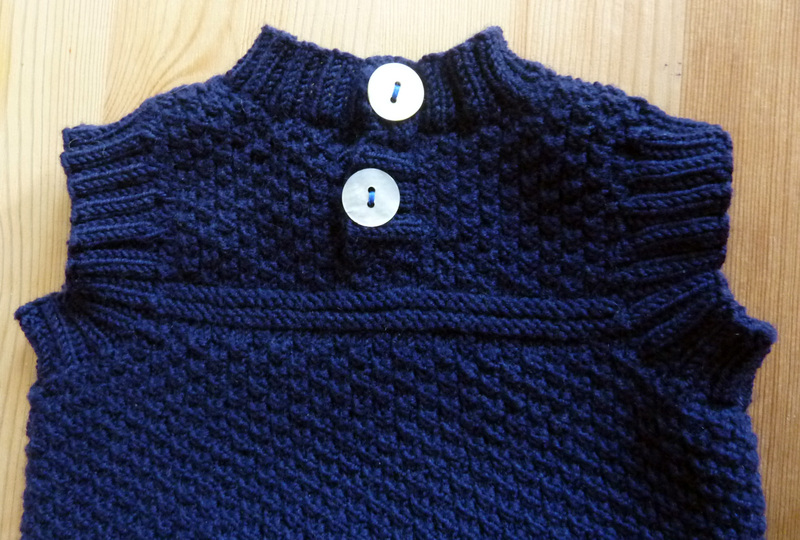 If you’re interested in the details, they’re over on Ravelry. And the second time when I went over to Germany for my best friends wedding and the two boys had an entire week that they were able to spend together. 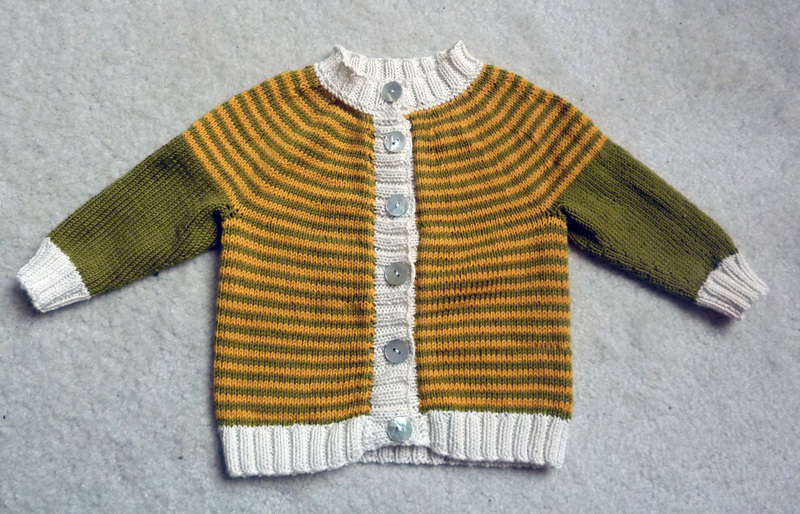 However, I’m here to talk about one of the items I made for Tom, which was this little cardigan. I know it was a pattern from the guys at Garnstudio, but for the life of me I can’t remember which one it was. 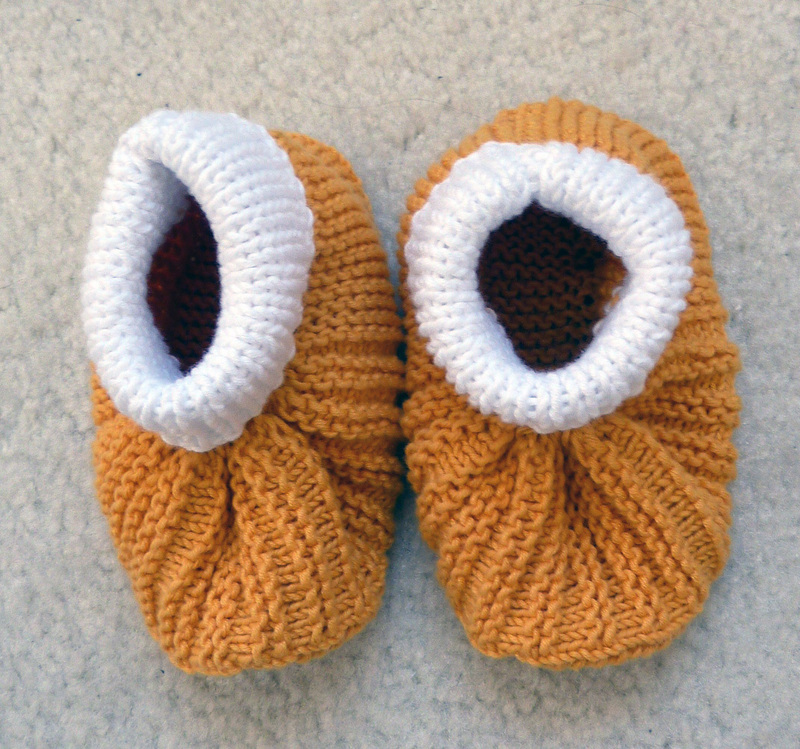 All I remember is that I wanted to use up some of my Drops Paris cotton yarn and I looked for patterns that I could use the yarn with, and there you go. 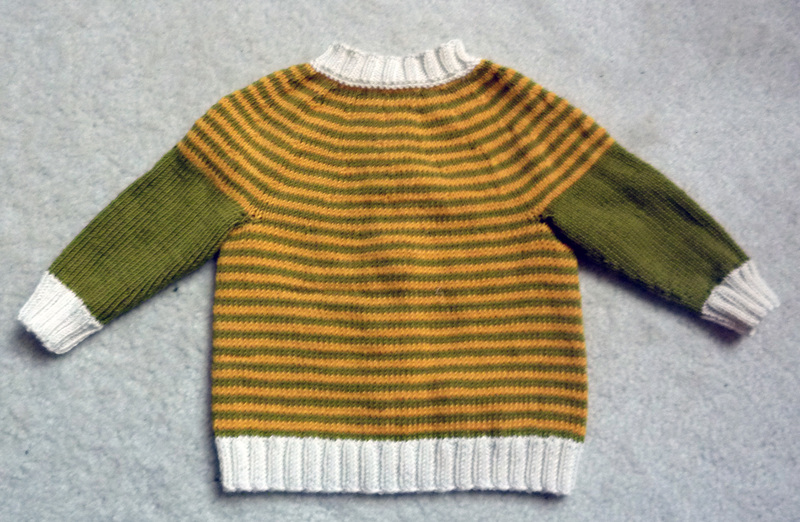 What I do remember is that it was a really nice and easy knit. 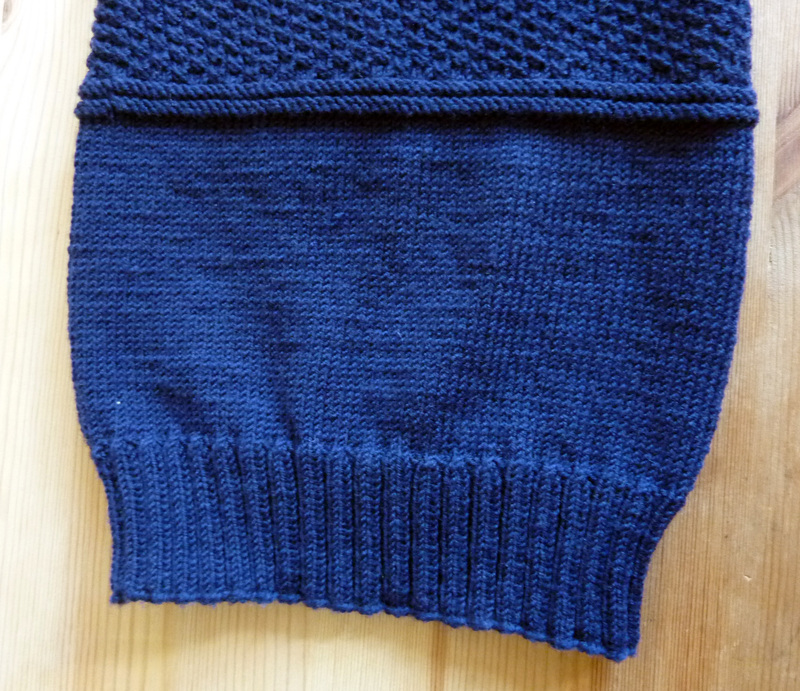 It’s all knitted in one and the sleeves are added in so that you continue knitting it in one piece, which is a really nifty thing, as it means less sewing at the end. 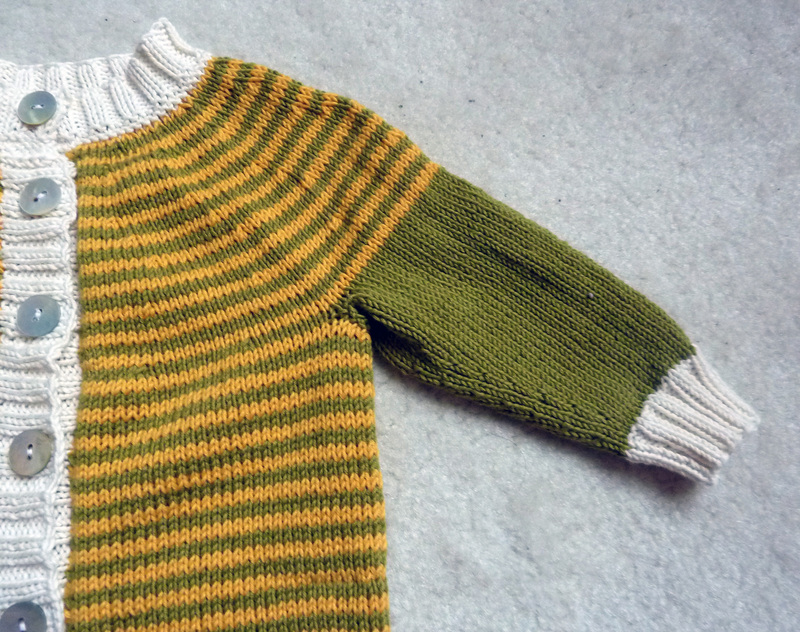 I think the colours worked out very well, at the time I was knitting it, my friend wasn’t 100% sure whether she was having a boy or girl, so I picked the colours as I think they can work for both quite well. 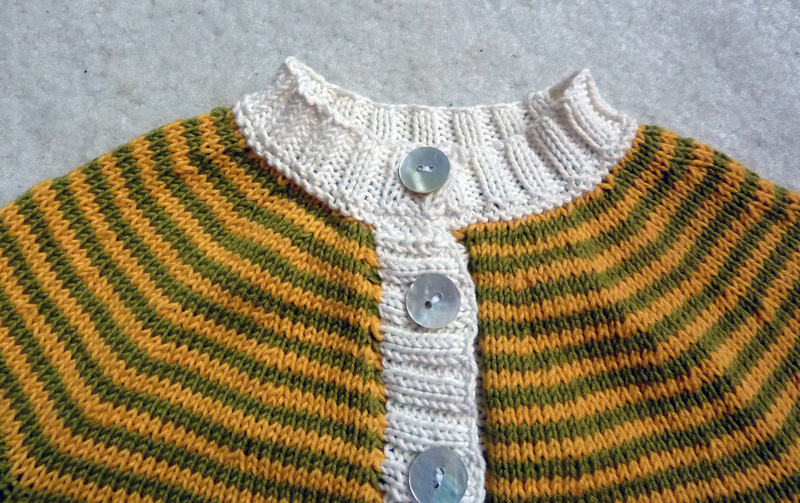 I was lucky also to have some really nice mother of pearl buttons left in my stash, which finish off the cardigan quite nicely. 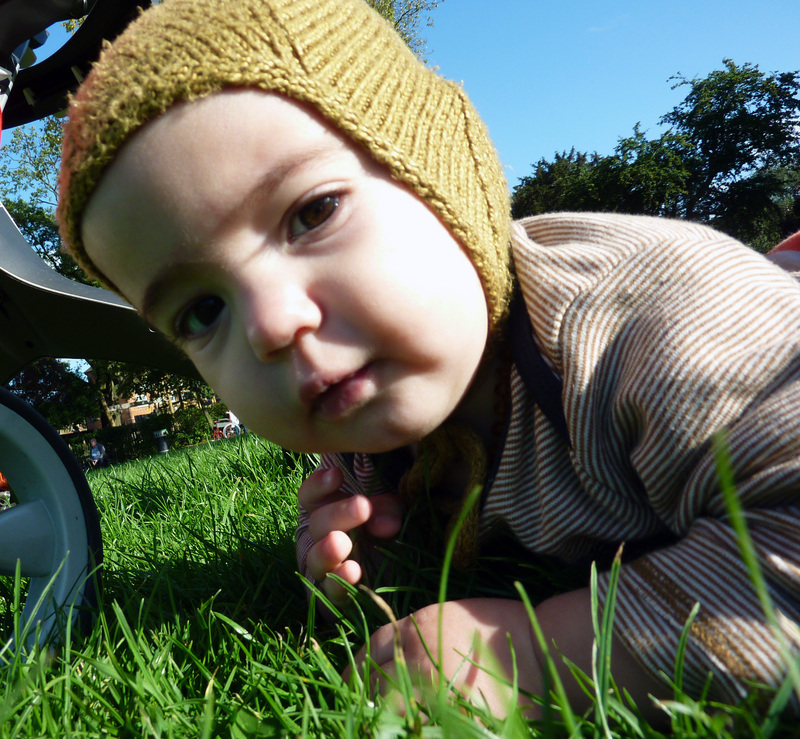 And doesn’t little Tom look gorgeously cute in it?